The Blood Mirror is the latest (and second to last) book in the Lightbringer series by Brent Weeks. I've loved this series as a whole and I'm excited to get to the conclusion of that. With that being said, this book mostly feels like set up. Where the first three books definitely lead into one another they are still each a solid narrative that has a satisfying ending. They just have a tease of what's to come next. 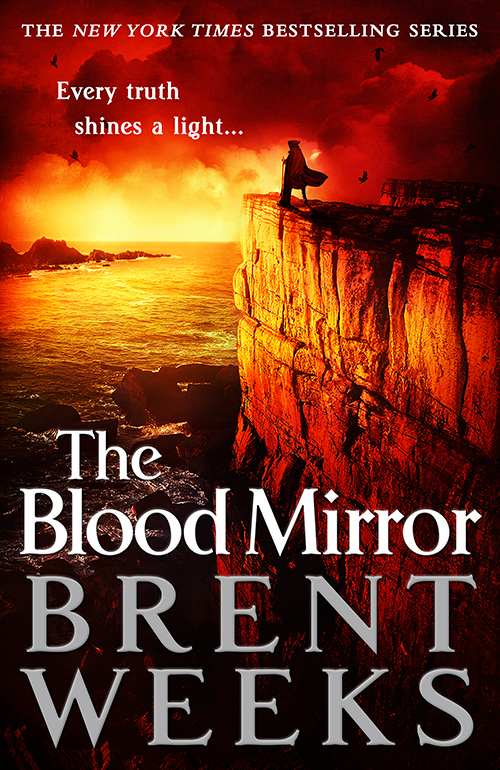 The Blood Mirror feels like half a book that just ends. It's a good half of a book but it doesn't have the typical arc I was expecting. I kind of wish that I had waited for the last book to come out and then read these last two together. It seems like that's how they are intended to be. They're definitely one story split between two books where the earlier ones felt like complete stories told in a series. I did like the book though. 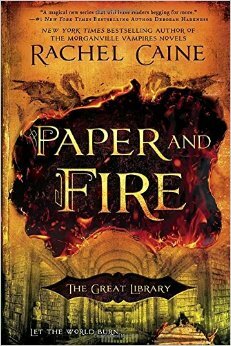 It made me very excited for the next book and to read the conclusion of the series, whenever that comes out. I just hope the wait isn't too long. Dishonored 2 feels a lot like Dishonored, but just more refined. And that's not a bad thing at all. 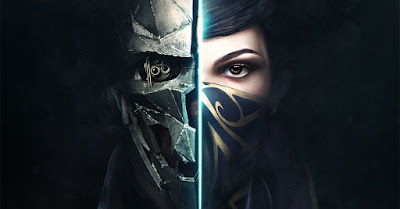 Dishonored was a game I liked playing through but it's also one I never felt strongly enough to revisit after the initial playthrough. Starting out Dishonored 2 felt like more of the same. The stealth feels a little bit more meaningful and the new power-set with Emily is interesting. I played for a few hours and saw what the game had to offer. But in the end, I'm glad I rented this one instead of buying it. I'm just not in the right mood for a game like this. The world is dark, grim, and gritty. Ultimately, that's what turned me away from it. I don't want that kind of tone in my media right now. But, I did make a mental note to come back to this game later. The next time I want a solid first person stealth game and don't mind a dark tone I'll probably pick this one up for real on PC. The rented version I played was PS4 and the controls just didn't feel as good as when I played the first game on PC. Overall, it's a good game but one I'm not in the mood for right now. But if any of my above description sounds interesting to you then you should pick it up and play it. Oxenfree is an interesting adventure game with cool ideas that doesn't quite stick the landing. You control a teenager in a group of teenagers who sneak onto an island after it closes for the night to drink and hang out. Slowly you start to run into creepy but interesting things happening and the plot expands out from there. It's not a horror game, but it does have some creepy atmospheric stuff going on. Initially I liked it. But... then some of the execution started to bug me. Everything is voice acted but it's really easy to accidentally trigger another whole section of dialogue and miss out on the topic that you were in the middle of. The game never really explains when you're interrupting or when you're just contributing and it ends up making for frustrating and choppy dialogue. I got over that and got an hour or two into the game but then it hits a point where it opens up and slows way down. Now instead of it being obvious where to go to propel the narrative you have to hunt around... which would be fine if your characters weren't so agonizingly slow. So that's where I ended up leaving it. All the kids are split up and trapped on an island and forever will be in my mind. But now I at least know that this developer is doing interesting things and I should watch them in the future. We asked, and you answered! Wait, no. You asked, and we answered! That’s it! This week, we did our much-anticipated Q&A episode, where you wonderful people sent in your questions for us to answer. 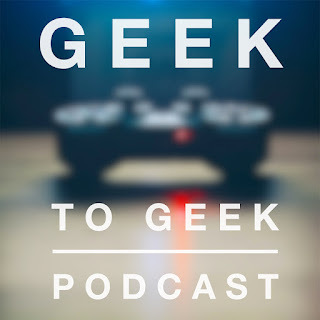 We answer everything from our favorite Star Trek captain, to embarrassing personality quirks, funny home-life anecdotes, to what we feel about particular game genres and first-person shooters. It really was an amazing episode to record, and we hope that we get spark some conversation with y’all for the subreddit and future episodes. I got the remastered edition of Skyrim for free on Steam since I already owned the original, so I thought I would give it another playthrough. It's been years since I touched it and I was excited to jump into the world again. And the first night was great! I wandered, I got familiar with the world again, and most of the game kinda came back to me. But after that first night the magic quickly faded. It's not a bad game at all, it's just a game that I've already spent hundreds of hours with. I was able to have fun for a play session or two but that seemed to jog all my memories of the game so after that point it felt like I was just going through the motions in a game I already knew. 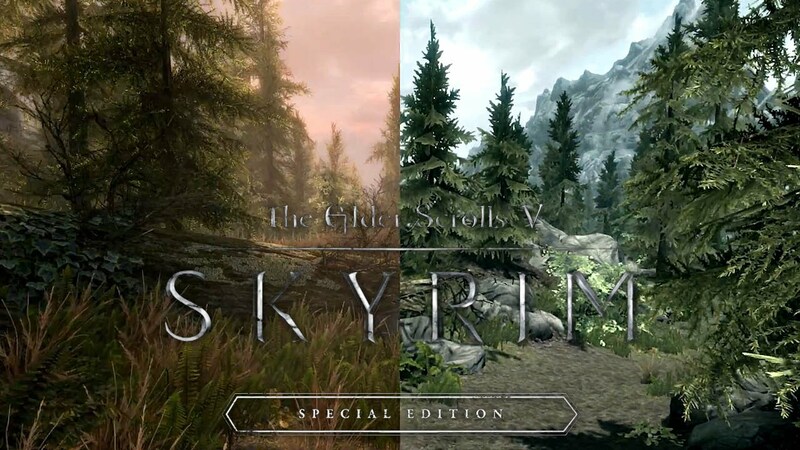 I'm really glad that Skyrim Special Edition exists for those who missed it last console generation. It's a great game if you haven't played it before. But for me I think Skyrim has already taken up enough of my life. I'll just wait until the next Elder Scrolls game instead. I can't complain too much, they did give it to existing owners on Steam for free! 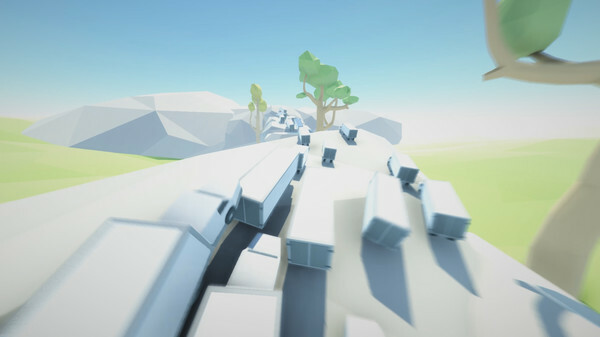 Do you want a game that messes with your perceptions of what a game is? 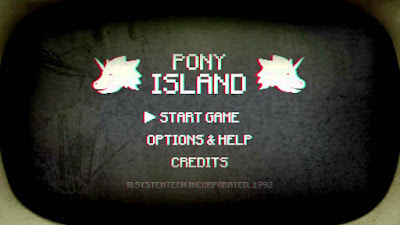 A game that starts out as an endless runner but slowly devolves into madness and the inexplicable. 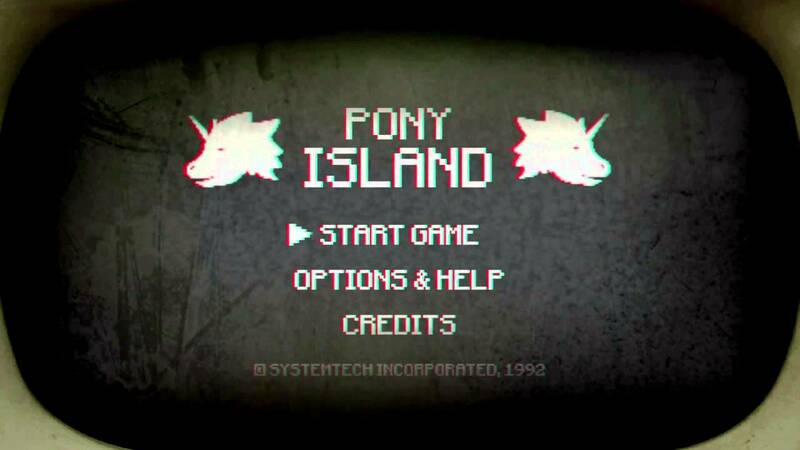 Then Pony Island is for you. It's a really weird game where you play games inside of a game. It gets very meta and interesting. Kind of in the vein of The Beginners Guide or Undertale, but with more interesting gameplay. I don't want to tell you too much more about the game because figuring it out and seeing what happens is most of the fun. It's normally $5 on Steam but tends to go on sale a lot. Seriously, pick it up if it sounds even vaguely interesting to you. With the upcoming release of Fantastic Beasts and Where to Find Them, we wanted to discuss our love of the Harry Potter franchise and kind of survey the series and expanded universe. With the books, we love them. They’re a part of our childhoods and young adulthoods, and on re-reads, they stand up just as well. Void has listened to the audiobooks of Harry Potter multiple times, while Beej never has. He’s only read the physical books over and over again. We discuss the change in tone the books take, going from children’s books in the first three, to the serious war story in the last set. That tone is also carried over into the movies, with each director doing his best to fit the tone and atmosphere of the movie with the narrative’s intended audience. We discuss the extended universe of Harry Potter, which includes new short stories, Pottermore, the Cursed Child, as well as the upcoming Fantastic Beasts film. Void loves them. A lot. He keeps up with them, reads as they come out and has become invested in the world. 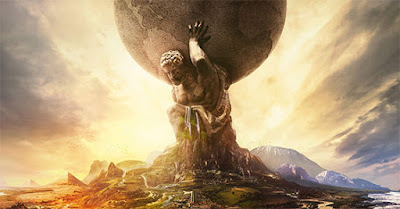 Beej, however, feels all the expansion makes the idea of the original series lose its charm, and he doesn’t feel as though the world is fleshed out enough for this expansion. He’s open-minded, though and will eventually dig in and read about the American setting he’s not into. Which brings us to Fantastic Beasts and Where to Find Them. It’s set in the American past (1920s? ), and it’s the first Harry Potter movie that’s specifically written as a screenplay. We are hoping this makes it more cohesive as a narrative; however, the explosion from a single movie to a trilogy to a 5-movie series before the first one has debuted makes us a little wary. Judgment will be reserved until we see it, and we will certainly do a Weekly Geekery segment on it when we do. I don't know why they released all the big FPS games for the year so close to one another but as soon as I beat the Battlefield 1 single player campaign I jumped over to Titanfall 2 and did the same. I've read about a lot of people being blown away by the Titanfall 2 campaign but I have to be honest, I wasn't. Not that it's bad. Because it's not. It's actually really good. Compared to FPS single player campaigns from other games within the last few years it definitely blows most of them out of the water. The problem I had was that I played it the day after I beat the Battlefield 1 campaign and I thought that game was just so amazing. Titanfall 2 didn't have nearly the impact on me that Battlefield 1 did. 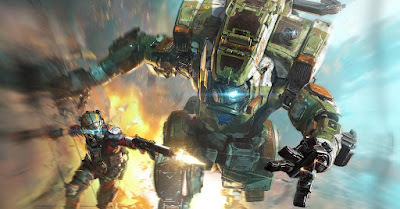 But if you're more interested in wallrunning and giant mechs falling from the sky than you are in things based vaguely on real historical events then maybe Titanfall 2 is a game for you. Like I said, I did like it a lot. I actually liked the multiplayer of Titanfall 2 better than that in Battlefield 1. In the end I didn't like either multiplayer enough to truly get invested and keep playing. I sent them both back after a few days, so I'm glad I rented them instead of bought. I just hope Titanfall 2 didn't screw itself over too much since it released the week in between the two biggest shooters of the year. They might have shot themselves in the footer there. Hopefully they do well enough to get to make Titanfall 3. I really liked the Battlefield 1 campaign... like... a lot. I haven't been this impressed with a first person shooter campaign since Modern Warfare. That's the last game I remember having such an impact on me. Something about how they executed it and tied it into World War I just resonated with me. Granted, it's not historically or technologically accurate, but it does a great job of imparting the sense that it is. There are parts of the campaign where you feel like you're in the middle of WWI and it's that feeling that is so impressive. The story is told through a bunch of smaller vignettes that take place in different theaters of war. It makes for condensed and impactful storytelling. Now I want more FPS games that take this approach instead of trying to make one giant interconnected storyline throughout the whole campaign. The multiplayer was perfectly fine too. But that part just kinda felt like another Battlefield. 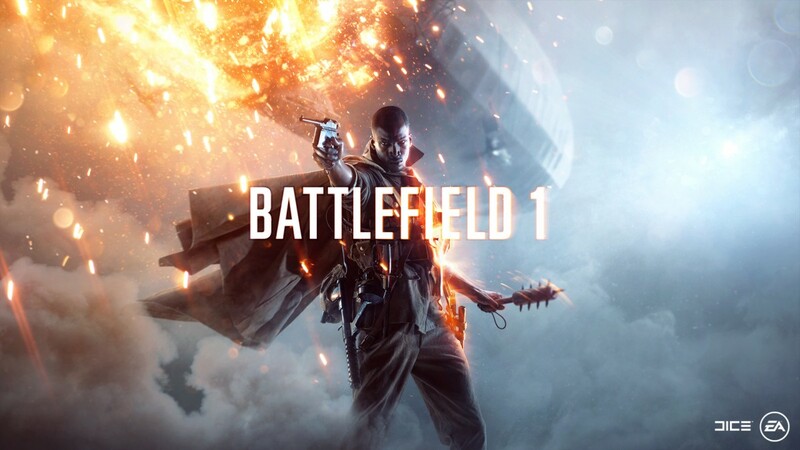 If you like Battlefield games then you'll like it, if you don't then you won't. No big surprises there. But yeah, I highly recommend checking out the Battlefield 1 single player campaign if you find any interest in FPS campaigns at all. Before starting this chronological series sampling, Tri Force Heroes is the Zelda game I had played most recently. It only came out last year and I played it right when it released. I didn't think my opinions of it would have changed much, but I was interested to see how it held up in the context of the rest of the series. Mostly, I was curious where it would rank. I actually just picked up my old save file for this one since the game is designed to be replayed. You unlock different costumes and levels as time goes on so I figured I would start with the full game unlocked this time. I was quickly reminded that hell is other people. Well... sometimes. When you get grouped with random people online it's always a grab bag. You never quite know what you'll get. Maybe someone will disconnect. Maybe someone will just not understand the puzzle even if you walk them through the entire thing with emotes. Maybe they'll just stand there and not respond ever. And sometimes the net code is just bad and the game gets super laggy. That's frustrating in a game that actually demands a fairly high level of precision in combat, platforming, and coordination. I still think Tri Force Heroes would be a really fun game with two other friends physically in the same room, but I don't know if the stars will ever align to make that scheduling happen. I'm chalking this one up as a good idea that never really delivered what it wanted to. It's going to go in the middle of the pack for rankings. A Link Between Worlds is my favorite Zelda game. If I wasn't so close to the end of my playthrough of the series I wouldn't be confident enough to say that, but now I am. It takes everything I love about all the 2D Zelda games before it and includes those elements... then improves upon them in many ways. Plus, it renders them in a cool 3Dish way on the 3DS. A Link Between Worlds is also a huge homage to Link to the Past, which has been sitting at my number one spot in the rankings up to this point. And it really shows. 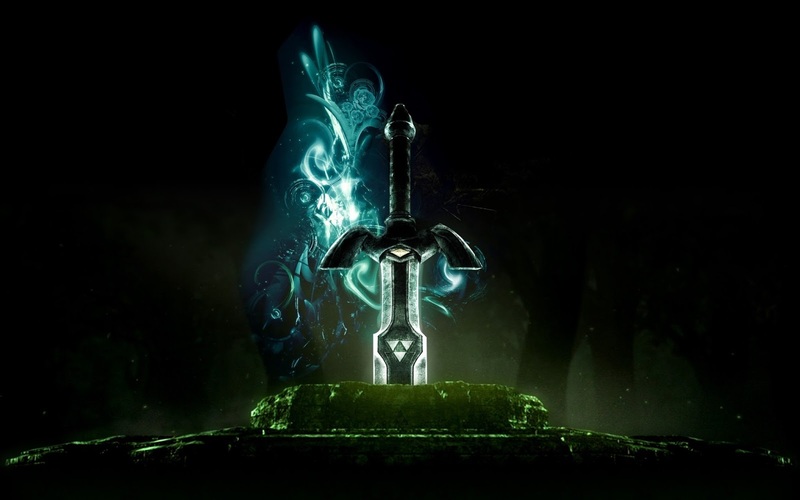 Everything from the overworld to the dungeons pays tribute to Link to the Past. It's not a one to one copy or direct rip off but there's no question that this is supposed to be the same world and deal with the same themes. It was a brave choice since it could have made this game feel like a retread instead of something new. Instead, it feels amazing. I love the open and non-linear style of Link Between Worlds. Being able to rent any key item you need and then tackle the main dungeons in any order you want is awesome. It makes every playthrough different and leads to lots of experimentation. There's also never the frustration of seeing an area you would be able to get to if you just had the right item. If you see it and you understand the right approach you can get there from very early on. Not to mention that it has a cool 2D flattening mechanic that works on walls. I feel like I heard a bunch of praise for this game right when it released in 2013 and then it fell off everyone's radar. I hope as time goes on that isn't the case. It really deserves to be included in the best Zelda lists. For me, this one goes right at the top without any hesitation. The doctor! He’s strange! Guess what we are talking about this week? It’s kind of a spoilercast, so be aware of that. However, we do give you fair warning of when we start discussing them, so you can always listen for a little while and come back after you’ve seen the movie. Or you can keep listening because you love us. Either way. We are coming at the movie from two different perspectives: Void likes Bennybatch but has no connection to the characters and very limited knowledge of Doctor Strange, while Beej is the opposite. He doesn’t like Benny that much, but enjoys Dr. Strange in the comics. Our non-spoilery thoughts are pretty simple: We like it. It doesn’t feel like anything else in the MCU, and we believe that’s a good thing. It doesn’t feel superhero-y, and to Beej, it feels like it has more depth than a lot of the MCU. Void doesn’t have as many thoughts about the movie overall on the first viewing, and he thinks that’s because it’s so different from other MCU films. A second viewing will really help us solidify our thoughts on it. The visuals in this movie are amazing. It feels a lot like the Matrix did back in the late ‘90s. We didn’t see it in 3D (because ew), but it may have been a bit overwhelming at times. And that’s it for non-spoilery teaser stuff in the notes! Now, there are lots of other things we discuss involving our favorite parts, the visuals in far more depth, the overall structure of the movie and how it worked for us and in terms of the greater narrative, and how this movie ties in (and will tie in) with the rest of the MCU). Skyward Sword, more than anything else, has just made me realize how much I hate motion controls. They were a gimmick I didn't like in the first place and they've aged horribly. Out of all the games in my playthrough this is the only one I hadn't tried at least once. I was coming to this game completely fresh and it immediately put me off with the motion controls. And these are even the "improved" motion controls with the Wii Remote Plus. It tries to be 1 to 1 with Link's hand but it isn't... instead it just makes him look dumb when he's running with his sword out. I tried to get into this game, I really did. I played something like five hours of it before finally throwing in the towel. The structure and the content of the game seemed fine. The story and world were perfectly serviceable. I probably would have played the whole thing if it weren't for the motion controls. Now I'm glad I skipped this game when it came out and never had to pay full price for it, that would have been an even bigger disappointment. Honestly, besides the motion controls I don't have many other thoughts on the game. It felt like a run of the mill 3D Zelda entry. Nothing amazing or groundbreaking. One minor gripe I have is that it's starting to feel weird to have these big budget 3D Zelda productions with a ton of dialogue and text but not actually have any real voice acting. I hope they fix that with Breath of the Wild, but it's a minor complaint compared to the controls. Needless to say, I didn't like this game. It's going in the bottom half of the list for sure. It's not Zelda II bad since I'm pretty sure that will be the lowest benchmark forever. 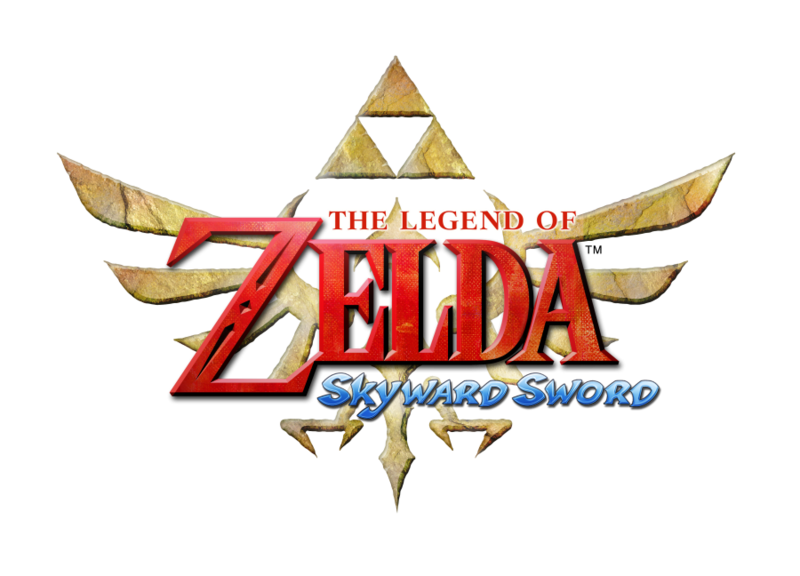 But Skyward Sword goes right in that section of the games with gimmicky controls that don't hold up anymore. I'm going to call it slightly better than the DS touch control games, but only barely. Spirit Tracks is the second DS Zelda game and it shows. 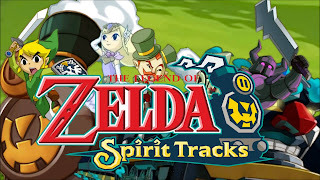 It's improved over Phantom Hourglass in a few ways but at it's core it's basically the same. The controls once again trip it up. The only notable thing here is that it adds some cool touch screen train gameplay that actually works fairly well. I ripped on Phantom Hourglass controls a lot yesterday so I'm not going to reiterate all that except to say that I still hate the controls and all my complaints still stand. Phantom Hourglass is a Zelda game I enjoyed and finished when it first came out. I remember thinking it was really clever on the DS. Coming back to it now makes me realize how much the touch controls have aged. In an age of smart phones and precise controls going back to early DS touchscreen controlling is super frustrating. It works... but not all that well. It's inexact and definitely feels like I'm fighting the controls. And that kind of colors the rest of my opinion on this game. I played a few hours to really get a feeling for it again and just couldn't get over the controls. I didn't want to play past the first 10 minutes because of the controls and it didn't really get better even after I got into the meat of the game, which is how I knew to put it down. Phantom Hourglass deserves some praise for it's innovation at the time but it just doesn't hold to up modern control standards. I'm realizing I don't like it when Nintendo goes crazy with control schemes and gimmicks. They don't age well and they generally just cause more frustration than they're worth. 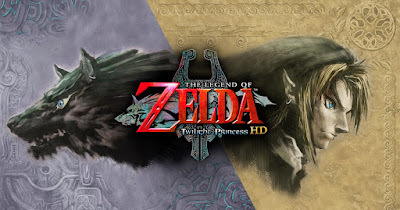 Twilight Princess is a Zelda game that I never beat despite starting it on at least five different occasions. In the past the thing that pushed me away from the game was always the motion controls. I know they were supposed to be a cool gimmick at the time but I never liked them. 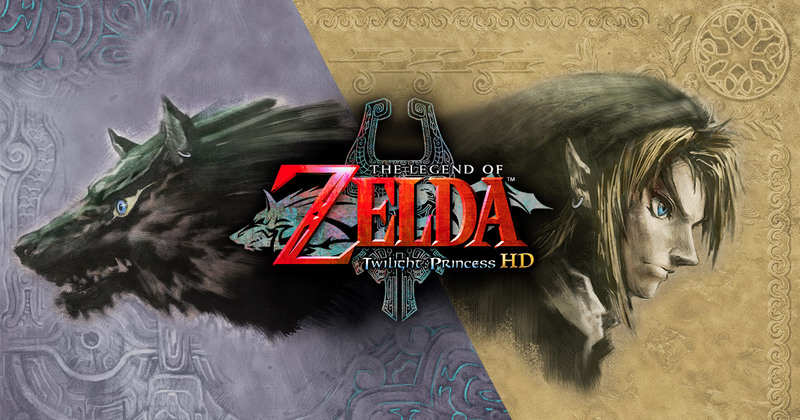 To avoid that and give Twilight Princess a fair shake I decided to go with the HD remaster that released recently on Wii U. That way I was able to play the game with a normal controller! First off, this game looks really nice with the HD remaster. The graphics are crisp and totally up to modern, if stylized, standards. No complaints there. The controls are also much better. 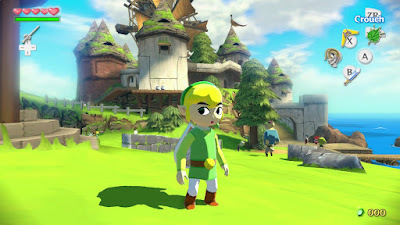 They're similar to the Wind Waker HD controls, which makes a lot of sense since they were both redesigned for Wii U. I found the game much more playable as a result. I still have negative feelings from the motion controls but I was able to let that go and dig in with the Wii U gamepad instead. The thing that actually turned me off from this game is the pacing. I had forgotten how horribly paced this game is. The first few hours are boring fetch quests surrounded by walls of (often unskippable) dialogue. It doesn't feel like Zelda, it feels like one never ending introduction and tutorial. I absolutely hated it. Here's the thing... I've tried to get into this game 6 times now and I've always stalled out. I hoped this time would be different but it wasn't. I actually stalled out sooner this time than any of the others. I have much less tolerance for bad pacing than I used to. 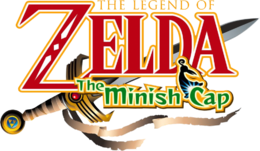 The Minish Cap is one of the few Zelda games I've never beaten and going back to revisit it quickly showed me why. My gripes started mounting almost immediately and I had enough of the game by the time I hit the end of the first dungeon. First of all, the controls just don't feel responsive or tight. Link to the Past and the Oracle games both control so much better than Minish Cap and I don't know why. They've already had great controls in the past, why did they mess them up this time around? Not to mention that a bunch of interactions that are on the A button in every other Zelda game are mapped to the right trigger in this one. It just feels like I'm constantly fighting the controls when I play. And then once you hit the overworld it feels small yet boring at the same time. The content density that is in most Zelda games is severely lacking. Traversing from point A to the point B always feels boring. Although the environments look pretty good the way they do the pixelization on the characters themselves just look gross. It's ugly in motion. I don't think I can level that accusation at any other game in the series. Did I mention how much text and talking there is in this game? It doesn't ever let you just do something. It has to stop and tell you why you should do it, the history of doing it, and how to do it. Even in dungeons you can't escape the constant tutorials from your own hat. I just can't even express how disappointed I am in this game. I guess the shrinking mechanic is kind of cool. Beyond that there isn't much to redeem it. 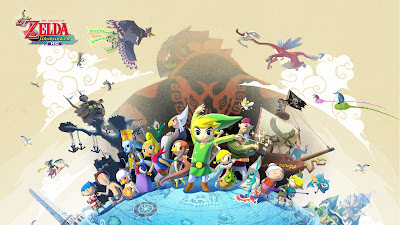 The Wind Waker has been my favorite 3D Zelda game for a long time. 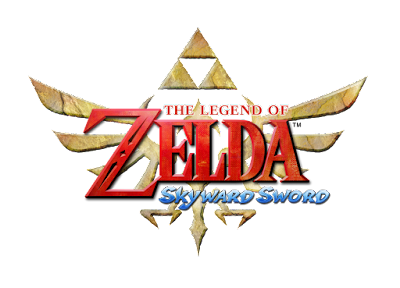 If asked off the cuff what my absolute favorite Zelda game is I would often put this one forward. It's really good. Revisiting it shows that it still holds up. I love the open ocean, the exploration, the controls, the music, the art style. There are so many unique things about this game and it feels like they finally hit their stride with 3D Zelda games at this point in the series. This incarnation of Zelda as Tetra the Pirate always makes me happy too! While it originally came out for Gamecube the last two times I've played it were the remaster on Wii U. It's extra gorgeous plus it has some nice modern features in it. The Wii U gamepad holds the map and inventory which is super useful. Not to mention the "swift sail" in the remaster. It basically lets you travel at 2x speed and always have the wind at your back without having to reposition the wind through song. I'm blown away by how well this game holds up. But, the most surprising thing for me playing Wind Waker in the context of the whole series for this playthrough... was that I think I actually like Link to the Past more. I'm realizing I might just be a much bigger 2D Zelda fan than 3D. We love to read, but the big question we get asked his what we read. And how. Do we prefer ebooks to paper books, or audiobooks to ebooks? So we talk about how our collections have moved mostly digital for a number of reasons, not the least of which is simply the clutter that buying tons of hardcovers and paperbacks accumulate over the years. We discuss the benefits of smartphone ebook apps, and how between them and audiobooks, we can get through so many more books than we would otherwise. Speaking of audiobooks, we love them! We listen to tons of different audiobooks. Void tends to use Whispersync on Kindle to keep his place between the same book, but Beej listens to a completely different kind of book on audio than he reads. It’s like the formats work differently for each geek! Void doesn’t like books set in the real-world, but Beej is okay with them if they have good characters. We talk a lot about comics in another podcast, so we gloss over them here.We love to read them, but make sure you go back and listen to our comics episode. It really needs some love. And now...our favorite authors! People ask all the time, and if we need to break it down more specifically, we will. We talk about people like Brandon Sanderson, John Scalzi, and Patrick Rothfuss. And more than that! If you want deep-dives into any particular authors, let us know! Can you guys also leave a ratings or review on iTunes? They help a bunch, and we haven’t asked in a while. So thanks! We appreciate it! Remember that we’re having a Q&A show (AMA-style) sometime in November, so send us your questions. Twitter and the subreddit are the easiest places to get them to us. This is probably the easiest part of my Zelda series playthrough because I secretly played both Oracle of Seasons and Oracles of Ages earlier this year... and loved them. I played these games a bit as a kid but never beat them then. Earlier this year they were on sale together on Virtual Console for 3DS so I picked them up on a whim not remembering much about them. The Oracles games are basically taking everything they learned from Link to the Past, Link's Awakening, Ocarina of Time, and Majora's Mask and using that to make the best Game Boy Color game they could make. It controls wonderfully, has amazing design, never feels frustrating with progression, and the two games feed into one another. If you beat one you can import your save into the other and after finishing that... you unlock a true final boss and secret ending to the game! I can't believe how much I love these. With all that said, they're still a little bit limited by the Game Boy Color hardware they're running on so they don't quite reach the level of awesomeness that is A Link to the Past. If you've never played these two games I highly recommend them. They are fantastic 2D Zelda experiences. 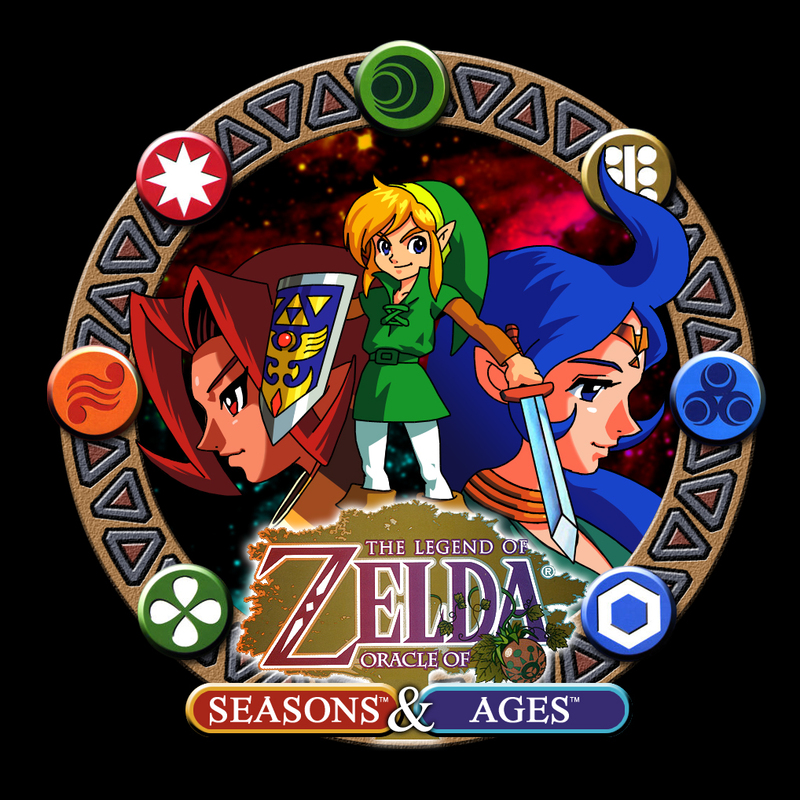 For me, I think of them as one full game together, but since I have to pick one to go higher on the rankings than the other it has to be Oracle of Seasons. 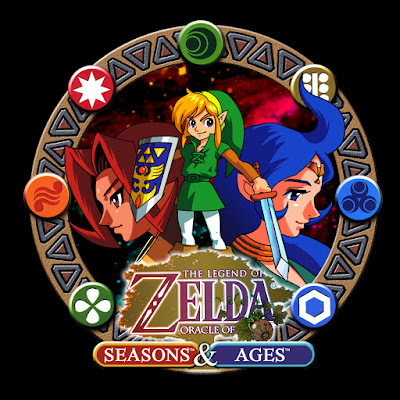 Seasons has fantastic combat, less puzzles, and super creative uses of the rod of seasons (the key item in the game). I could make an argument for Ages being better if you made me... but this is my ranking and I just like Seasons better. But seriously, if you missed these when they came out and you already own a 2DS or 3DS you should pick them up digitally and give them a shot. Continuing with the lite Zelda project brings us to Majora's Mask. It's an odd one out for the series but I love some of the things it's doing. If you've never played it, Majora's Mask is much more non-linear than any other Zelda game. It's all about exploration and discovery. You repeat the same three days that lead to a moon crashing into the planet and in doing so you slowly gain powers, items, and masks that will help you on the way. You also learn songs on the ocarina that perform all sorts of tasks and change how you interact with the flow of time. I beat this one a few times as a kid and once even did a 100% run of the game while getting the Fierce Diety Mask at the end. That was a good time. This time around I booted it up the remaster on my 3DS and played through the first half of the game or so. It's still really fun... if you're in the right mood. Unless you're following a guide you'll find yourself repeating a lot of the content multiple times. If you're in the right mood for exploration and experimentation it can be a really good time as you slowly piece together what to do and how different systems interact. If you're looking for a more driven storyline and progress, which is the mood I find myself in at the moment, it does start to wear thin. There's also that ever-looming countdown to the end of the third day. I know that stresses some people out to the point where they can't enjoy the game at all. So, playing through it to around the half way point is about all I want to do in my current mood. I'd rather move on to the next games in the series. But I still need to figure out where to rank this one. In my mind it's so close to Ocarina of Time that it either needs to go immediately above or below it in the rankings. 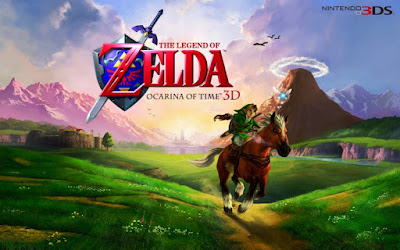 If I were to rank them in order of overall historical importance then obviously I would put Ocarina on top of these two. But, since I'm ranking them in order of how much I'd like to go back and replay them I think Majora's Mask edges it out. Ocarina of Time is a very important game, not only to the Zelda franchise but also to gaming in general. It was one of the first big 3D action/exploration/adventure games and it helped define the genres. It's also obviously what all the later 3D Zelda games were based on. First I should say that I loved this game as a kid. I've beaten it many times and for years I would consider it a 10/10 game. I still think it's a 10/10 game for the time when it came out. It will always have a special place in my heart and my gaming nostalgia. With that said, it honestly hasn't aged well. I went back and played hours of it and found a lot of frustration. The controls, camera, and some of the 3D spacial thinking are just old. And I was even playing the remastered HD version on 3DS where they fixed a lot of things. So, while this game is important and I still love it when looking at it via nostalgia I just don't want to play it again right now. Maybe some day but not at the moment. I actually kind of equate Ocarina of Time to Final Fantasy VII. Both were amazing games when they released. Both helped define genres. Both are amazing when viewed with nostalgia. Neither one has aged all that well. It's surprising to me that 2D games seem to age better. 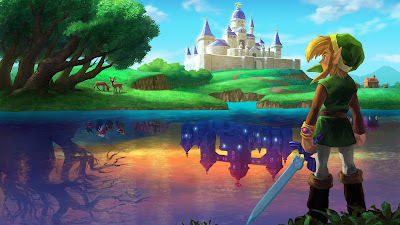 A Link to the Past was still amazing and that game came out almost 25 years ago. I'm going to hop over to Majora's Mask next and see what I think. 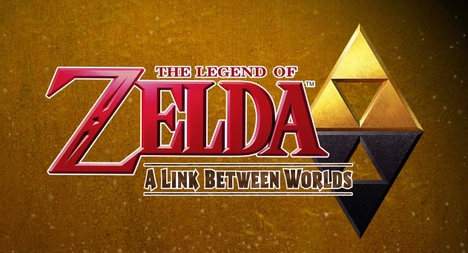 Maybe it will be better since it breaks from the traditional Zelda storytelling with it's non-linearity. But, it is built on the exact same engine as this game so I expect to find many of the same frustrations as well. Even though it didn't hold up as well as I expected I still find it easy to slot into my current Zelda rankings. I can't possibly diminish what the game was at the time and how much it matters to the series and gaming in general.